It’s almost time! Bring the family for a free night out! Chef Casey will be serving chili with corn bread as well as some kid-friendly foods (hot dogs, mac & cheese). It’s all free and open to everyone! See ya there! 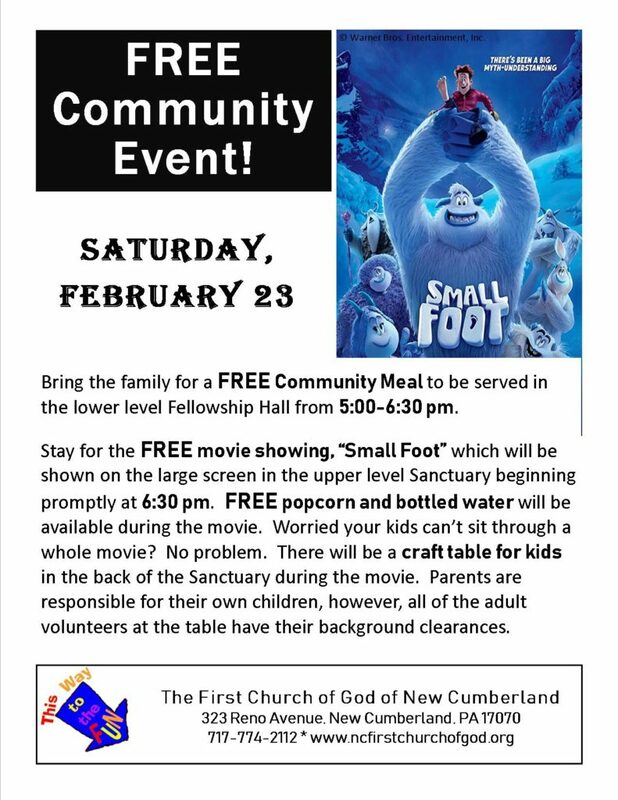 Copyright © 2019 New Cumberland First Church of God.